What is the purpose of the byfold chair storage? Our byfold chair is a tremendously popular option for major events facilitators and other institutional customers. These customers by large quantities of the byfold chair because of its high style and long durability. With such large quantities of chairs, a convenient way to move and store them is needed. This wheeled steel rack and conveyance serves that purpose. This movable rack has easy roll wheels that allow effortless conveyance of the byfold chairs from their place of storage to the place where they are needed for the convention or other event. 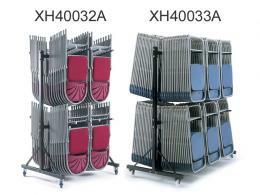 The byfold chair storage rack is available in either a two-row or three-row model. Depending on the model of byfold chair, the two-row rack can accommodate either 36 or 68 chairs. 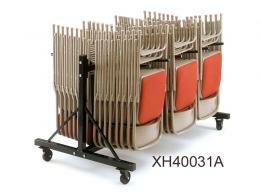 The three-row model can accommodate either 54 or 102 chairs. The legs have a “wide stance” construction that gives the rack maximum stability and prevents tip-overs during transportation. 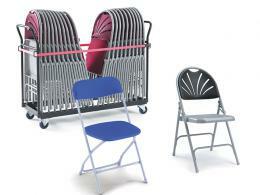 The byfold chair storage rack is available in either a low or a high model. Hardened rubber wheels are mounted on swivels for easy, smooth motion. The chairs hang upside down on the racks which are slanted toward the centre, thereby keeping the chairs mounted on the rack until they are removed by staff. 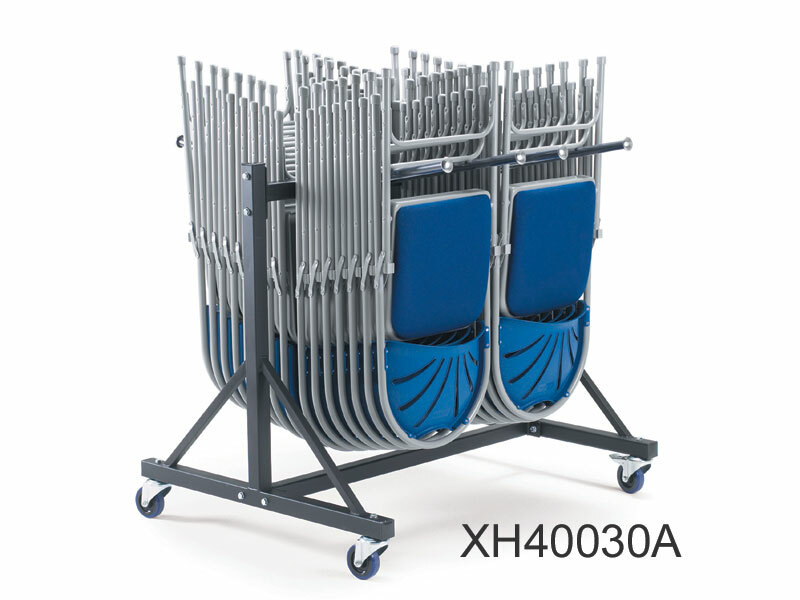 The byfold chair storage rack is useful for any facility that conducts large public events, musical performances, lectures, volunteer meetings and the rest. Any customer who purchases a large number of the byfold chairs will benefit greatly from also purchasing this rolling byfold chair rack. Any customer of the byfold chair can use this rack. Delivery to all Mainland UK customers of this item is free.